By Gareth Crocker. St. Martin’s Press. $23.95. Occasionally a book comes along that affects you profoundly. This is one of those! Crocker’s riveting first novel captures the incredible bond between Fletcher Carson and Jack, a yellow Labrador retriever that narrowly dodges death twice at the hands of U.S. forces and lives to survive a harrowing 380-mile jungle trip with Carson, his rescuer, through Vietnam, Laos and finally into Thailand, where both collapse to the ground nearly dead and staring at the rifles of two Viet Cong soldiers. Try as you might, this is one of those volumes you just can’t put down. Every page flip and around every literal corner you’re left clinging to hope the pair will survive their injuries or an adversary’s gunfire. When the injured Jack suddenly appears (Page 47) as the Fat Lady platoon moves toward an assigned objective deep in the jungle, orders are given to shoot it, prompting Carson to shield the animal from a platoon member’s gunfire. Despite being wounded, Jack survives and begins a spirited bond with his committed protector/partner that faces one remarkable challenge after another and a refreshing change of heart from his commander. The powerful narrative will stir every emotion within you – despair, hope, anger and inspiration. It also leaves you reeling, wishing you could offer help, as the pair battles both their own government and the North Vietnamese, even after Jack scents out explosive hazards ahead on trails that almost certainly would have claimed American lives minutes later. Jack’s surprise appearance, however, leaves everyone guessing as to his origin. Neither ear bears a tattoo signifying he is a U.S. armed-forces animal, although Labs were deployed as scout dogs throughout Vietnam. As Jack recovers and becomes an integral member of the Fat Lady team, he is no longer seen as simply a dog, but a soldier, exhibiting all the signs of a highly trained scout dog. 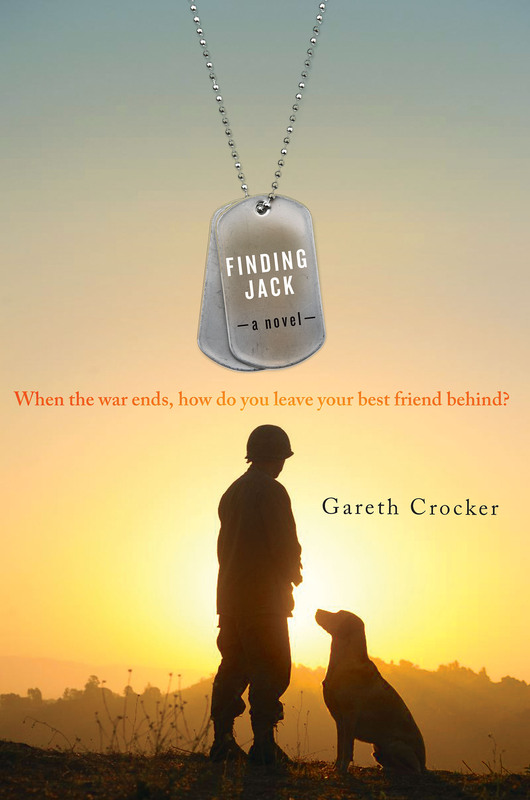 For the tormented Carson, who lost his wife and daughter in a plane crash several months earlier, Jack emerges as a friend and soul mate. What follows is a carousel of dynamics – also characterized as “an international incident just waiting to happen” – involving former platoon members, a Vietnamese who saves his life in a Laotian prison camp and a woman doctor he meets in Thailand, whose surgery skills help save Jack’s life and who teaches Carson how to live again. “Finding Jack” is a moving portrait of commitment. Friends helping friends, sometimes at the most unexpected and chilling moments. That same psychological turbulence creates a challenging landscape that serves as a natural metaphor for the struggles between good and evil. Reviewer’s note: Crocker was inspired to write this powerful story several years ago while visiting the Vietnam War Memorial in Washington, D.C. He saw a Vietnam veteran dressed in full military gear place an old dog harness against the foot of the wall.